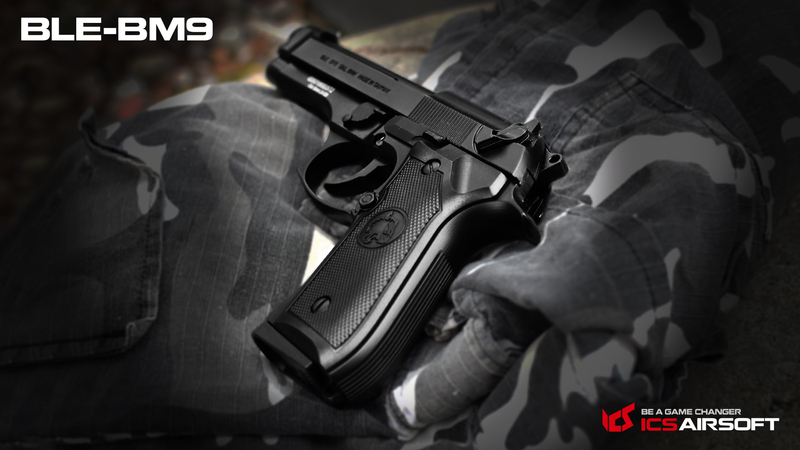 BLE-BM9 Super Sturdy Classic Pistol is about to be Launched! Full metal slide and frame, duplicating the real firearm to adopt the trigger-hammer interconnecting mechanism and ambidextrous safety lever. Equipped with REVO Efficient Gas Releasing Valve, REVO Quantitative Gas Injection Valve and CNC machining slide to achieve excellent gas efficiency. The high endurance capacity and extremely stable velocity performance brings you the brand new shooting experience. BLE-BM9 will be available in black and tan, please stay tuned for the release date.